Well, as most of you know, today is now Thursday, May 4th and TENSE – Volume Two is still not out. I have been notified that there is a delay with the publishing process but I have a team of great people working very hard to help me get to the finish line. I am hopeful it will be out today, but there is a possibility it could be tomorrow. I just don’t want to get your hopes up again. It is coming this week though. I can promise you that. I can also assure you that my great team and I are figuring out a way to make my release dates a lot less tumultuous for both you and I. I’m very excited for this change. 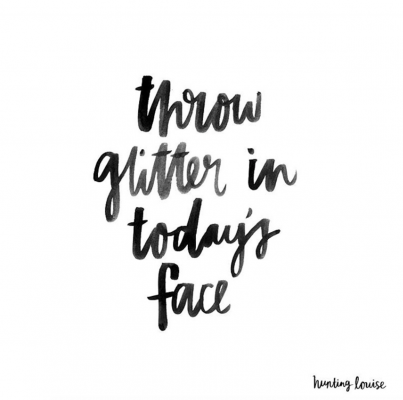 While we wait, I’m trying to swallow my frustrations and instead, I’m going to follow this mantra I came across online and throw glitter in today’s face. I cannot wait for this conclusion, as this is my favorite story. I have fallen in love with these characters! I started with the VAIN series and have been a fan ever since. Thank you for working so diligently and so hard to get these books out. All my love, Kimberly. Thank you very much for the update since I’m a die hard fan I will be patiently waiting for the conclusion of this wonderful characters I fell in love with .